I meant to post something mid month… but it’s been a crazy and busy one. In my last blog post, I mentioned something about learning new skills this year. I was (and still am, to a lesser degree), studying to get my drone pilot’s license. Since I am part of Zendigity Productions that does drone photography as well as other art, I thought it would be a good step to take. I’m always open to streams of revenue, especially if it’s something I enjoy. The day after Christmas spun me in another direction…. a very happy direction. 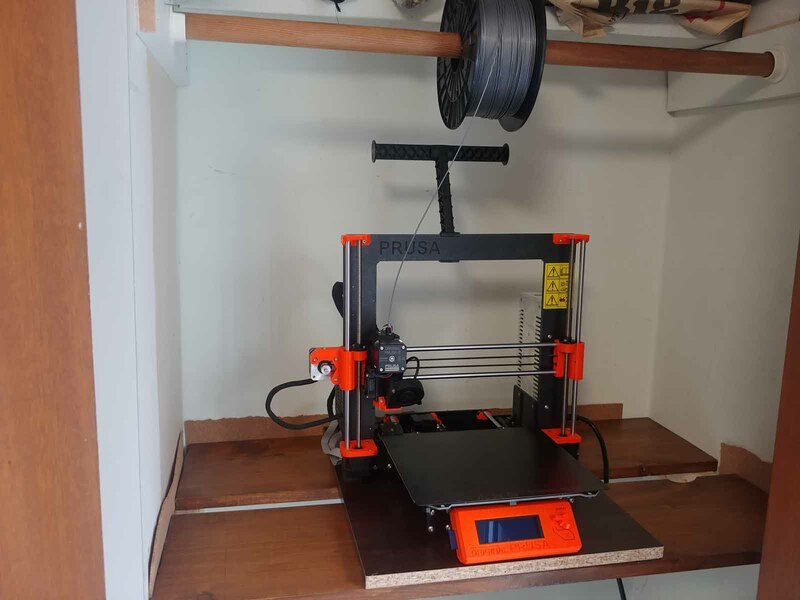 My guy got me a Prusa i3 MK3. It’s something that I’ve been obsessing about for well over a year and as my income has been spotty, I decided to not risk the expense of it. It was delivered December 26th and on the 27th, I was a kid again (who am I kidding, I haven’t grown up yet), up early and ready to tear into my new toy. I had no idea what I was getting into when I said that I wanted to assemble my own printer… but I’m very glad I pushed through it. After 12 hours of non -stop work (I’ve never touched a 3D printer, never mind put one together) I had it up and calibrating. I gutted my closet and built a shelf so it would have a cat free space. I’ve been playing with it pretty much every day I’m in my studio. I’m still neck deep in commissions so I have to leave it alone for a few weeks while I catch up, but I’m well pleased at having the capability to print when I want to. This printer will have many jobs, but my first task is designing and printing custom bases for my customers. I’ve managed one for the sorcerer commission and want to make natural rock type bases so I don’t have to rely so heavily on sand and cork or constantly buy resin bases. The sorcerer is on the back half of being finished and I will be putting up a tutorial type post on how I made the changes to the model and more depth on the base. I imagine I will get to this by mid-February. So.. that’s the excitement for this month. The drone license is not out of the picture by any means, but on hold for now. I imagine at some point this year I’ll take the test but this printer is holding a good deal of my attention.